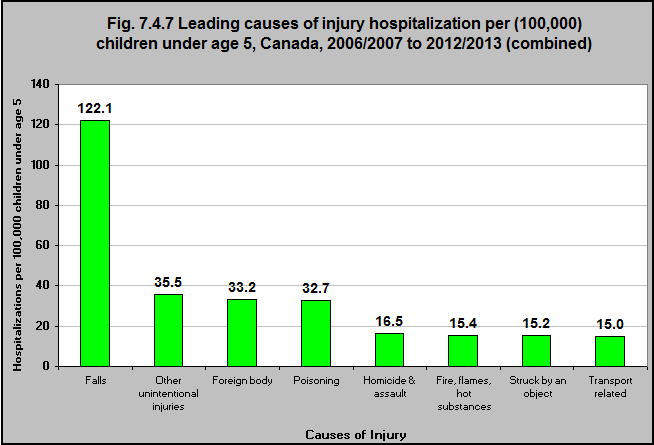 The leading cause of injury hospitalization among children under 5 for the years 2006/07 to 2012/13 (combined) was falls. The rate of hospitalization due to falls was 122.1 per 100,000 children under 5. The next leading cause was other intentional injuries (35.5) followed by foreign bodies (choking, etc.) (33.2) and poisoning (32.7).